In the buildup to iOS 10's launch, Apple on Thursday published a set of updated App Store review guidelines covering new features set to debut as part of the forthcoming OS, including an expansion of app subscriptions. Announced through Apple's developer website, the updated guidelines serve as a model for App Store best practices ahead of Apple's release of iOS 10. Alongside subscriptions, the document contains additional information about SiriKit and iMessage extensions like stickers. Apple outlines the basics of app subscriptions in a subsection of Payments. The company offers a number of examples in which subscriptions are deemed appropriate, though the most important consideration appears to be a provision ensuring ongoing value to the customer. When building in subscription support, developers can offer customers options for ongoing subscriptions alongside one time in-app purchases, Apple says. In addition, app makers can offer a single subscription to be shared across a series of titles as long as it works on all user devices where the app is available. Developers are not allowed to market subscriptions for consumable items, but they can offer existing subscribers access to discounted goods. Further, app makers looking to make the jump to a subscription-based model are prohibited from removing primary functionality for which customers have already paid. 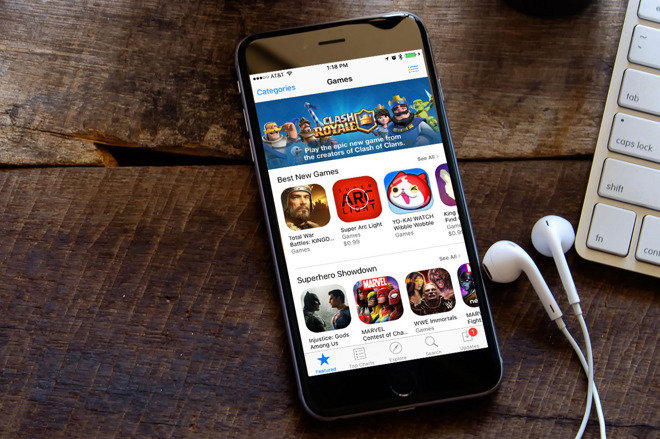 App subscriptions were announced in June as part of a shift in Apple's revenue sharing model. Previously, the company took an iTunes standard 30 percent cut of all App Store sales. Under the new model, that figure drops to 15 percent once a subscriber has paid dues for one year. As for SiriKit, Apple says apps should only integrate extensions that relate directly to main app functions. For example, an extension for a meal planning app should not include a Siri trigger to start a workout even if it features integration with a fitness app. Additionally, Siri requests should be resolved in the most direct way possible, meaning no ad inserts or marketing. Finally, the updated guidelines now incorporate a few suggestions for creating iMessage sticker packs. In general, stickers should follow the same rules applied to apps, which means no offensive or illegal content. Apple is expected to announce an official release date for iOS 10 at a special event next week that will likely see the debut of new iPhone models.